Here are my notes on becoming a Helicopter Pilot. get a Recreational or Private Pilot Certificate . get an Instrument Certificate . get a Commercial Pilot license. become a Certified Flight Instructor (CFI). Propeller and jet aircraft are louder (120 dB and 140 dB - the Threashold for pain). Research websites, schools, costs to develop a Checklist of Questions. Interview prospective school management, instructors, and students. Order Ground School books and supplies such as FAA A-141 syllabus. Study and pass pre-solo written test. Get instructor to sign FAA Form 8060-7, Airman's Authorization for Written Test. Review the airman computer test report with instructor to get his/her endorsement. Get a Certificate of Graduation from the school. Fly with a temporary pilot certificate! Frame the permanent pilot certificate! FAR Part 61.96, 61.97, 61.101 - a Recreational Pilot Certificate holder is restricted to to flying in daylight no more than 50 nautical miles from the airport where instruction was received and cannot operate in airspace requiring communications with air traffic control (ATC). $15 Let's Go Fly a Helicopter (1995) VHS movie shows how a helicopter works in action. Chopper Patrol battery operated toy helicopter ($30) has dual throttle control and skyhook. Blue Thunder (1983) This film features a LAPD helicopter -- a 1972 French Gazelle modified with snooping gadgets and trick weapons -- in aerial chases between skyscrapers. Pilot Roy Scheider avenges comical copliot Daniel Sterns by going against army general Malcolm McDowell's evil but absurd plot. Schools granted an Air Agency Certificate by the FAA are listed on the AC 140-2 List of Certificated Pilot Schools maintained by FSDO. US Navy Helicopter Control Officer (HCO) School in Norfolk, VA trains with Night Vision Goggles! Vortex Helicopters, on the Mississippi Gulf Coast, offers apartments to students. Verticare Helicopters at the Salinas, CA Heliport offers high-altitude mountain flying instruction. Additional audiovisual aids or programmed instruction materials to supplement classroom instruction. Blue Thunder with James Farentino and Dana Carvey. $14 Rotorcraft Flying Handbook 8083-21 by the FAA, May 2000. Paperback. $15 Private Pilot Test Prep 2002 - Federal Aviation Association (Editor); 344 Pages. $17 Aeronautical Decision Making explains the risks associated with helicopter flying, the Underlying causes of accidents, and the effects of stress etc on helicopter pilot decision making. $17 The Helicopter Pilots Handbook gives pointers on a career as a pilot. How To Fly Helicopters, 2nd Edition 1986 (1st Edition 1940) by Larry Collier, Revised By Kas Thomas. Tab Books. Hard Cover. to record student stage checks passed, lesson content, lesson performance, flight hours, instructor notes and endorsements, solo endorsements, aircraft checkout records, etc. Required for Part 61 and Part 141 program requirements. 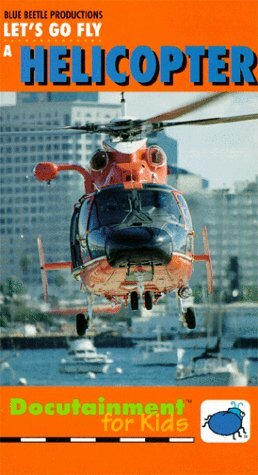 Helicopters Only.com offers an extensive FAQ, Pilot Reports, and a store with Training Kits. Robinson Helicopters have 131 horsepower. A $170,000+ R-22 seats 2. A $310,000+ R-44 seats 4. Bell Textron makes Jet Rangers. MD Helicopters in Arizona feature the NOTAR�) anti-torque system for operator benefits that include increased quiet, safety, reduced insurance rates and the ability to fly in areas that are off limits to other rotorcraft. Sikorsky (HQ in Stratford) makes Black Hawks for the Army and National Guard, Seahawks for the Navy, Pave Hawks for the Air Force. It's working on the U.S. Army RAH-66 Comanche stealth copter. Helicopters Magazine.com is issued quarterly. The White House helicopter -- a Sikorsky VH-3D (Sea King) -- is called “Marine One” (under the Marine Commandant) only when the President is on board.